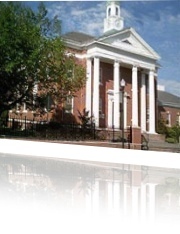 North Providence Municipal Court is held on Monday evenings at 6:00 pm in the North Providence Town Hall Council Chambers, 2000 Smith St. (map), North Providence, RI 02911. Your court date is listed on the summons you received. If you received a traffic summons that indicates a Municipal Court date with the incorrect 1967 Mineral Spring Ave. address you must appear on the date and time on the ticket at 2000 Smith St. If you do not appear in court at your assigned date and time your license may be suspended with no further notification. If you have a valid reason to miss the court appearance, as determined by Police Department staff, it may be rescheduled. Call 231-4533 between 8:30 am and 3:30 pm and dial 139 to speak to the Court Clerk. You may be able to use the Good Driving Statute. Please review RI General Law 31-41.1-7 to determine your eligibility. Some traffic violations require that you appear before an Administrative Judge at the RI Traffic Tribunal. Please read your summons carefully and direct any questions you may have to RITT.